A survey is only as good as the responses you get. By offering virtual survey incentives to respondents, researchers can dramatically increase response rates and improve survey participation. Convincing busy or hard-to-reach audiences to respond to your survey makes the feedback more valuable. First and foremost, you must choose an appropriate value for your survey incentives. The right value is essential. You don’t want to spend too much money, but it’s important to offer a value that motivates people to respond. Here are three key considerations to keep in mind when deciding how much to offer. The only way to decide how much to offer your respondents is to consider who is actually taking your survey. Are you inviting highly paid executives or mid-level staff? 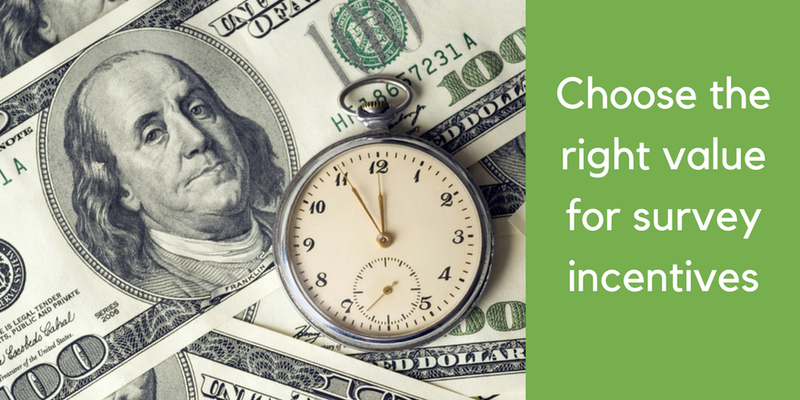 Assess the value of your respondents’ time based on how much they earn. You don’t need precise statistics. In fact, a general sense of your participants income level is enough. For example, consider a survey that targets registered nurses. It’s useful to know that on average, registered nurses earn around $70,000 annually. At 2,000 hours per year, they earn about $35 per hour. Next, consider the length of your survey. It’s important to offer an incentive that shows you value your participants’ time. Shorter surveys need smaller incentives. Longer surveys need larger incentives. Test the survey and come up with an estimate of how long it will take participants to complete. It’s important to be honest and realistic. Researchers often grossly underestimate the time it takes to complete their survey. This leads to setting the wrong time commitment expectations with participants. As a result, participants may feel lied to and even abandon their responses. You can get to the starting point for your reward value by multiplying the survey completion time by the participants’ hourly income rate. Keeping with the example above, if the survey is going to take nurses 30 minutes to complete, the base reward value should be $17.5 ( (30 / 60) x 35 ). Next, consider bumping up the reward value by 30-50% to make the reward an attractive proposition for your participants. For the nurse example, $25 would be a good reward value. The chart below shows some example data points based on this approach. Survey incentives can vary from small amounts to hundreds of dollars. It all depends on survey length and the value of the participants’ time. Surveys can be powerful tools for companies to take advantage of market opportunities and avoid risks. In fact, they can establish the viability of a new venture, help companies gain perspective about the market environment, or help identify potential problems a company could encounter. However, it’s important to show your survey takers that you value their time and efforts. If your survey is simple, easy, and doesn’t require deep thought, you can offer a modest gift. However, if you’re asking more involved questions that take a little extra time to answer, keep respondents motivated by increasing the value. In addition, consider how important this survey data is to you. If it’s a major source of feedback for improvement, maximize responses by offering a generous reward. Some researchers may even choose to overpay a little bit and use survey incentives to build positive goodwill. 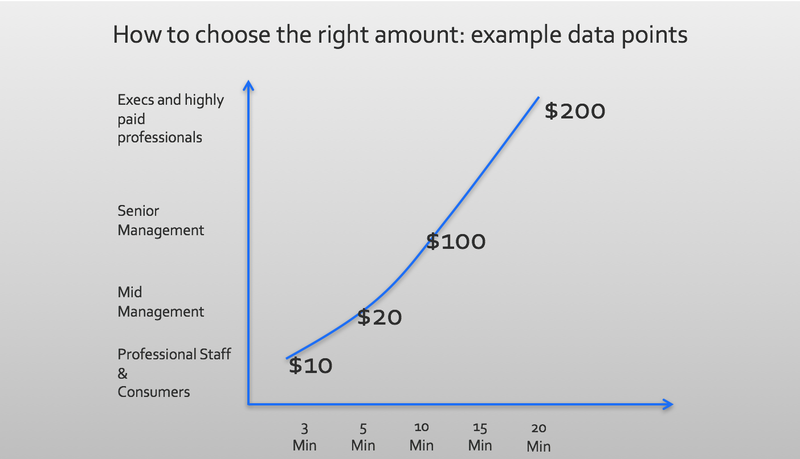 There’s no one-size-fits-all guide to survey incentive amounts. The correct amount depends on a realistic assessment of what will motivate your target respondents. Finally, a smart researcher ought to choose the right type of incentive. Different people like different things. Incentives that excite your respondents make your survey much more effective. Who is your target survey taker? For example, if you’re looking for responses from business professionals, choose Amazon and Panera gift cards. On the other hand, most consumers like retail gift cards like Target, Nike, and Macy’s. International respondents will appreciate the versatility of international Visa cards, which they can use in their local currency. A great way to get respondents excited about your survey is letting them choose their own reward. Rybbon makes it easy to setup a curated list of rewards and allow recipients to choose the reward they prefer. Charity-minded survey takers or survey takers who are shy about accepting gifts can even choose to donate their incentives to a charity they love. By tailoring your survey incentives to the particular demographics of your survey, you can maximize the effectiveness of your incentive campaign. Surveys can only succeed if potential respondents are motivated to take the survey. Offering survey incentives is a great way to drive response rates. However, choosing the appropriate type and amount for your incentive is vital. Only with an honest assessment of the value of your respondents’ time, the length of your survey, and the nature of your survey can you maximize the effectiveness of your incentive. Fortunately, with a little thought, a survey incentive can be an outstanding tool for market researchers to use. Offering a reward for participating in and completing surveys is a proven way to drive up response rates. Learn how easy it is today with a free account from Rybbon.